It was just ‘Absolutely Fabulous’ at a sun-drenched Tattersalls International Horse Trials & Country Fair today where warm conditions brought in huge crowds of over 33,000 to the historic 200 acre estate in the Co Meath countryside. One of the most recognised and celebrated comedy TV stars Jennifer Saunders had her first winner at Tattersalls and she was joined by other stars from the world of racing and sport with Gold Cup winning jockey Robbie Power and his legendary show jumping father Captain Con Power as they cheered on sister and daughter Elizabeth who is a senior Irish international eventing rider. Other well knowns present were trainers Jessica Harrington, Gordon Elliott, Johnny Murtagh and Gavin Cromwell along with jockeys Paul Carberry, Keith Donoghue, Lisa O’Neill and Gary Carroll and Ryanair supremo Michael O’Leary’s brother, Eddie O’Leary who was cheering on his daughter Meghan who competed at the weekend. Jennifer Saunders’ eight-year-old horse Cooley Monsoon was bred in Ireland by Tom Byrne and ridden by top international British rider Piggy French. 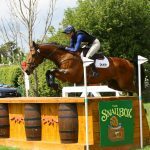 Top Irish riders were well represented at the latter stages of the competition which saw an international field of 24 Olympians from 16 countries which included multiple Olympic and World Champions. In essence, this was the highest quality sporting event to take place in Ireland this year. Elsewhere the three-acre shopping village with 80 craft, fashion and local food shops reported a very brisk trade as the thousands of families and spectators indulged in an estimated 20,000 bottles of water and 12,000 ice creams! The big hit with the children were the jumping Mini-Puissance ponies, the friendliest dog show in Ireland for all shapes, sizes and breeds of pooches as well as the curious woolly Alpacas who entertained the crowds no end. 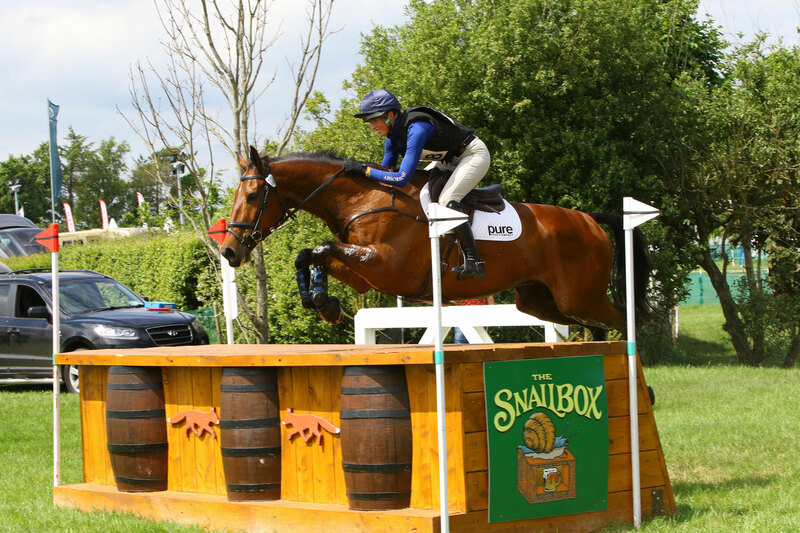 Because of the ever increasing international entries from overseas, Tattersalls International Horse Trials were responsible for the largest movement of competition horses in one go across the Irish Sea earlier this week. Two ferries crossed from the UK to Dublin Port carrying 64 lorries with 120 horses and the entire convoy made it into the Tattersalls stable yard for before rush hour at 6.30am last Tuesday morning! 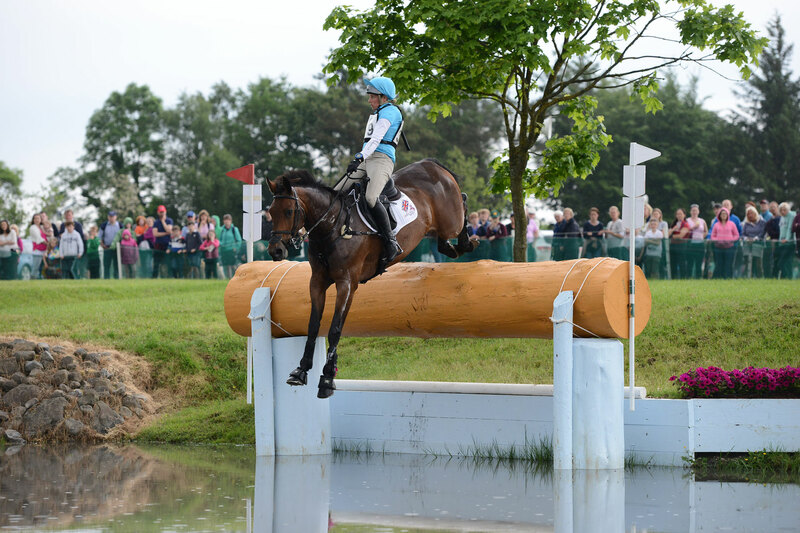 The feature class, The Irish Field CCI3* saw British Rider Izzy Taylor literally pip her compatriot William Fox Pitt by a few hundredths of a second to land the main event at the biggest ever Tattersalls International Horse Trials event. Her mare Call Me Maggie May was faultless over cross country and show jumping to move from 6th to 3rdovernight and then take the CCI3* on a score of 28.5 and only beating William Fox Pitt on Little Fire on the same score as she was under the optimum time in the cross country phase while the latter was just over. Best of the Irish was Sam Watson in 7th position on his Tullabeg Flamenco with a score of 33.3 whilst Austin O’Connor came in 11thon his Kilpatrick Knight on 38.4. The George Mernagh Memorial CIC3* turned out to be a thrilling competition with overnight leader and top Australian rider Emma McNab on Fernhill Tabasco coming out on top with a score of 27.1 whilst Sam Watson had a fantastic day coming in both 4th and 6th with Imperial Sky and Horseware Ardagh Highlight on scores of 31.9 and 32.8 respectively. Elizabeth Power on Reenmore Duke finished a very creditable 10th position having improved from 22nd place after her dressage phase. The Eventing Ireland CCI2* reached a thrilling finale as senior English rider Piggy French went second last into the show jumping arena, needing a clear round which she duly produced on the eight-year-old Cooley Monsoon owned by famous UK TV star and well known eventing enthusiast Jennifer Saunders, scoring an overall 27.4. The Connolly’s Red Mills CCI2* for Under 25 riders was won by British rider Tom Jackson on Court Casper on a score of 25.7 incurring no penalties in show jumping and cross country and he also took 3rd place with another one of his mounts Newmarket Prospect (30.7 score) whilst best of the Irish was Stephanie Stammschroer on Master Swatch who both performed really well to come in at 4th overall. In the Land Rover CCI1* the honours were taken by English rider Matthew Wright on The Corncrake who finished on their initial dressage score of 28.9. Best of the Irish was Steven Smith in 4th place on Donogue Big Ronnie with a very credible performance and a score of 31.2 which again was his initial dressage score with no penalties on his show jumping and cross country phases. The Cooley Farm CCIYH1* 6 & 7 year-old horses was won by Britain’s Laura Collett and Calmaro who kept the same score of 21.8 after dressage incurring no penalties in the cross country and show jumping phases. Best of the Irish was local Co Meath rider Elizabeth Power on DSL The Entertainer with a very good score of 25.9 back in 10th place. Ireland’s Katie Riley and Versace Biscuit took top honours in the Kubota CCIJ1*. The pair led from the get-go of competition and maintained winning spot when producing a clear round of show jumping, completing the class on their original dressage score of 25.2. The Berney Brothers CCI1* for Ponies was won by Charlotte Teehan for Ireland on Knockenpower Minnie with a score of 29.3. Charlotte went into the final cross country phase today in 3rd position having lain in 4th spot after dressage on their first day. Tatts 2018 combines world class sport with a quintessential country fair and aside from the equestrian competition; the weekend is tailored especially for families with free admission for under 12’s. The Kids Zone is packed with fun; the highlights are the novelty dog shoe and the mini-puissance ponies who will be jumping a specially made wall! Carnival Rides, activity area for older kids is sure to capture the imagination along with a shopping village of over 80 shops. 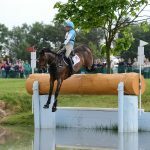 “Tattersalls International Horse Trials & Country Fair goes from strength to strength every year and this year is no exception. We again welcomed over 33,000 people who poured through our gates over the last five days to enjoy sunshine and world class competition featuring a record number of 366 competitors representing 16 countries. But the equestrianism is only one element of this world renowned International Event; the country fair with its 80 shops and expansive kids zone has made Tattersalls a family fun event that is now an annual fixture in the calendar for many Irish households. 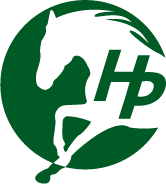 “Consistently year on year we want to provide owners, competitors, grooms and horses the highest level of equestrian facilities along with a high calibre of equestrian competition that will rival any other equestrian event in the world and this has resulted in the largest number of entries ever see at Tattersalls. The continued success of Tattersalls International Horse Trials and its annual growth and improvement is a combined team effort from so many people who are vital to the sport; the owners, competitors and grooms, our dedicated committee who continue to develop and expand this event year on year, the vast team of over 330 volunteers, our own Tattersalls personnel and those who have contributed financially to ensure that this event continues to remain at such a highlevel and set the standards – and we would like to record our sincere thanks to everyone that plays a part.